These days, no application can afford to be an island. For mission-critical apps to reach their fullest potential, they need to be able to integrate effortlessly with internal and external systems alike, leveraging as much data and functionality as possible. It's with this understanding of enterprise technology that we approach our custom API services. Our custom Application Programming Interface (API) solutions cover the development, integration, publishing, documentation, deployment, and continuous maintenance of APIs. We develop robust API architectures and security protocols, like custom key encryptions, access control dashboards, single sign-on and scalable caching proxies. We also build API call management platforms for logging, authenticating and throttling API calls. Chetu develops specialized APIs for new and legacy enterprise applications. Our APIs facilitate access to application data, functionality and business logic, as well as web services. We create APIs for desktop, mobile, and cloud apps, web sockets, Service Oriented Architectures (SOA), firmware/middleware, browsers, databases and operating systems. We also design Hardware Platform Interfaces (HPI) for managing computer systems. We emphasize networking best practices when integrating and implementing original, open-source and third-party APIs. 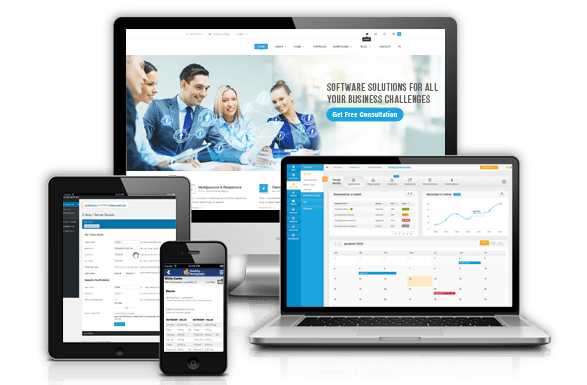 We interface disparate business systems and processes, add web service functionality to existing applications and synchronize data across applications. We provide API integration services using popular platforms like MuleSoft's Anypoint, Funnel, Azure, Dell Boomi, and Jitterbit. We configure APIs for mobile, desktop, console and browser apps, as well as databases, search engines and intranet systems. We implement internal and external APIs while leveraging exposed third-party web services. Our industry-specific approach to API management preemptively solves issues related to the sharing of data, business logic, content, microservices and communications. We develop web APIs and APIs as a Service (APIaaS) using common web services and protocols, including HTTP/HTTPS, XML, XHTML, JSON, Java, REST, SOAP, EDI, AJAX, and TCP/IP. We use Docker containers and HTTP/SOAP interfaces for executing API-based microservices with custom business logic. We design and configure API integration testing platforms to automate validation, functional, UI, load, runtime, security, penetration and fuzz testing. We use API testing platforms like Postman, Rest-Assured, and HttpMaster to perform exploratory API tests, manage testing automation protocols and visualize tests.